Warm tea and the glow of a flickering candle are lovely on a chilly evening... what if you could always have both at the ready? 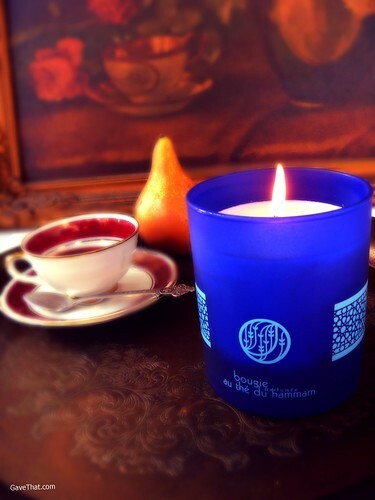 Recently I was able to experience the tea scented candles by the French premium tea line Palais des Thés. Each blended to invoke a mood based around a particular form of tea. The one above for instance is Thé du Hammam, a scent built around the tea in a Turkish bath house. The pools, the marble, the light, the warm air and the rose petal infused China green tea are all whirling together inside that cobalt blue glass. The notes listed for Thé du Hammam are orange flower water, rose petals, China green tea, green dates and red fruits but there also is a heavy dose of something magical. Ethereal. How I wish this came in a perfume to take everywhere, I'd bathe in it. 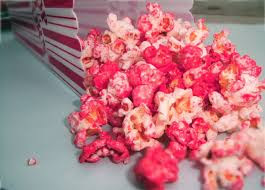 It's so unique and delicious! If you're in the city, visit Palais des Thés flag ship store in Soho at 156 Prince Street or at their 194 Columbus Avenue lotion. You'll be hard pressed not to come out with your hands full of new loves and gifts. Also find them online here. Candle c/o Palais des Thés, many thanks for such an experience!